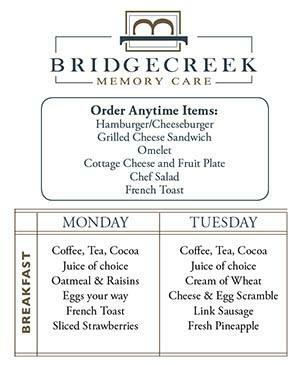 At Bridgecreek Memory Care, we provide our residents with a fine dining experience at every meal. With a chef-prepared menu designed to suit the needs of the most special diets, at Bridgecreek Memory Care, you are sure to leave every meal with satisfaction. 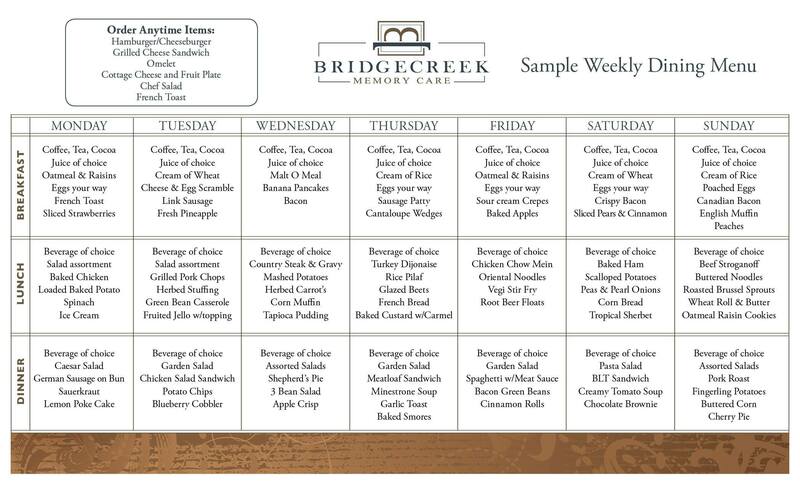 For an idea of Bridgecreek Memory Care's dining menu, please see our Moran Vista communities sample dining menu below.